Selection of 31 sculptures created by 25 of the most important artists in a movement that portrays the multiples ways in which to shape the human figure, its relationship with different expressions of art history and its technical evolution from its beginnings up until the present digital age. 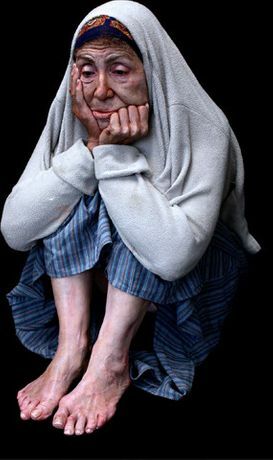 It is the first exhibition created with the purpose of showing a more profound review of the human figure through more than fifty years of hyperrealism. From the 1960s and 1970s on, different sculptors got involved with a mode of realism based on the physically lifelike appearance of the human body. By deploying traditional techniques of modelling, casting, and painting in order to recreate human figures, they followed different approaches towards a contemporary form of figural realism. 1. Human Replicas: Pieces with great realism that conveys to the spectator the illusion of authenticity and of finding oneself in front of a human replica that serves as a mirror. 2. Monochrome Sculptures: The absence of natural color in the sculptures decreases at first glance its realist effect, but at the same time highlights the smallness of the human body. 3. Parts of the Boby: Beginning in the nineties, many artists began to focus their attention on specific parts of the human body which they then used as the foundation for disturbing messages, not always devoid of humor. 4. Playing with Size: In the nineties, Ron Mueck revolutionized the figurative sculpture by drastically increasing or reducing the size of the figures, focusing the attention on existential subjects and showing human beings from a new perspective. 5. Deformed Realities: Throughout the previous decades, scientific and technological advances have allowed for a radical change in the perception and understanding of reality. Because of this, some artists look at bodies from a distorted and altered perspective. The exhibition was presented with great acclaim in the Bilbao Museum of Fine Arts and will travel after its stay in MARCO to the Arken Museum of Modern Art in Copenhagen. 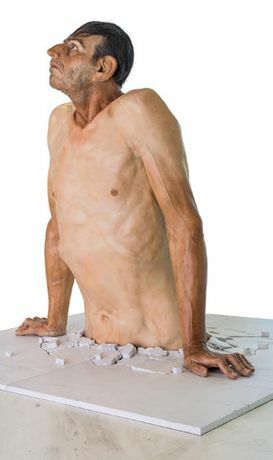 The selection of artworks includes all important representatives of the Hyperrealistic movement starting with the early American pioneers like George Segal, Duane Hanson and John De Andrea. Many American and European artists continued to work in this tradition and created their own individual style - Juan Muñoz (Spain), Maurizio Cattelan (Italy), Daniel Firman (France) and many more. 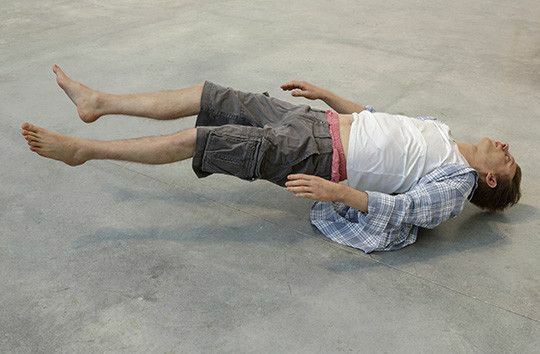 Progressive artists working in a Hyperrealistic manner are also coming from Australia - Ron Mueck, Sam Jinks and Patricia Piccinini - and Canada – Evan Penny.